Thank you Dennis. It must be a wonderful thing to have all your expectations laid out so clearly for you. You really must thank the ladies in your home on my account for this nice list. manager at work and, although i work for an assertive Woman executive, get too much authority at the office. When i get home i want to put on an apron and do as i'm told, and my routine makes sure that i do! We have lists for just about everything. Follow them and everyone is happy! With the lists i know what the Women want and do it. The Women are assured that things are done according to their expectations and rarely have to get involved, with the exception of the occasional inspection. I first encountered the lists when i went home from college with Nancy for a weekend. Nancy, her Mother, and her Sister were going to the mall and left me home with the task of cleaning the living room. Simple enough, i thought, but it wasn't that simple; it was a set-up that turned into a teaching moment. 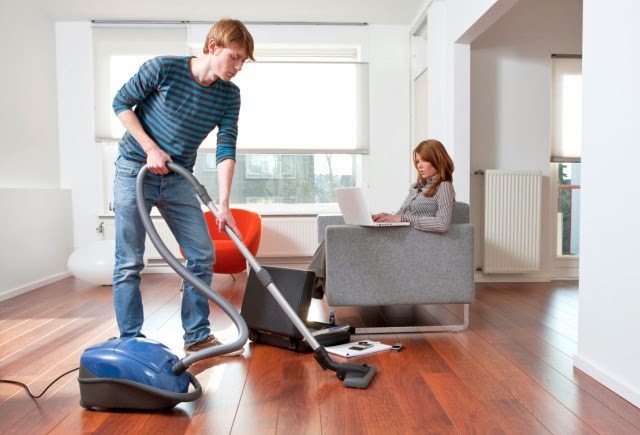 When the Women arrived home i was relaxing in front of the TV having spent about a third of the time they were gone actually cleaning the living room; i learned that had i done it properly i would have likely needed an additional hour after the Women arrived home. "So, you've finished cleaning the living room?" Sue inquired, with a devilish tone of voice. "Yes, Ma'am” i responded with a lot of pride. Now is it they say about “pride goes before a fall”? i was about to fall and fall hard. Sue pulled put on a white glove and started an inspection, much to the delight of Nancy and her Sister. i hadn't moved the furniture, spot-cleaned the carpet or rearranged the magazine rack. Sue's white glove showed dirt in corners of the bookcase and i missed the tops of the door frames, something i found later that EVERY man did. "What the hell kind of job is this?" Sue demanded with more than a little anger. Picking up an ashtray that i had emptied but not cleaned, she yelled, "You call this clean?" She then made me lick it out before having me clean it at the sink. But then came a devilish laugh. She announced that i was forgiven - THIS TIME - as She pulled out the list of things that to Her lead to a clean living room. She went through each point with me. i was supposed to be having dinner out with Sue, Nancy, and her Aunt, but now i was going to stay behind and "properly clean the living room." My meticulously following the list led to a passing (although not perfect) score. Sue explained that she didn't have the time or inclination to supervise men's doing household chores. The list made this simple: "Here's the list, follow it and everyone i' happy!" With this understanding, work with your Woman-in-charge to make up your own lists of how She wants things done whether it's housekeeping, expected behaviors, and so on. Have Her walk you through the chores once to ensure you understand Her expectations. Have Her critique your work the first few times to ensure that you are doing what's expected. After this She should reasonably expect quality work with a minimum of Her involvement. men often want Women standing over them, supervising every little thing; this is NOT what Women want, so don't expect it! Women want men to do as they're told with a minimal amount of supervision so that They, Women, can better spend their time. Think of it, do we want increasingly higher-educated Women who are above the domestic routine having to supervise such work? Of course not! Make sure She doesn't have to! Finally, shut up and listen! If She makes a comment about your work, take heed! Ask Her for Her further comments. Volunteer that any suggestions She makes be put into the lists you have. And don't forget that Women love men to take the initiative around housekeeping and personal service. If there's something you'd like to add to your routine that She would find beneficial, do it! This is something i am always looking to do and that Nancy has come to expect. Over the years i've added many things to my routine that are satisfying to Nancy and me. A rewarding FLR is one in which the man is always looking to do a little more here and there to satisfy Her. That said, lists are living things that grow with a relationship. Her behest knows best. We should all differ to Her and this, after all, is Her family's blog and we should all respect Her in that sense. 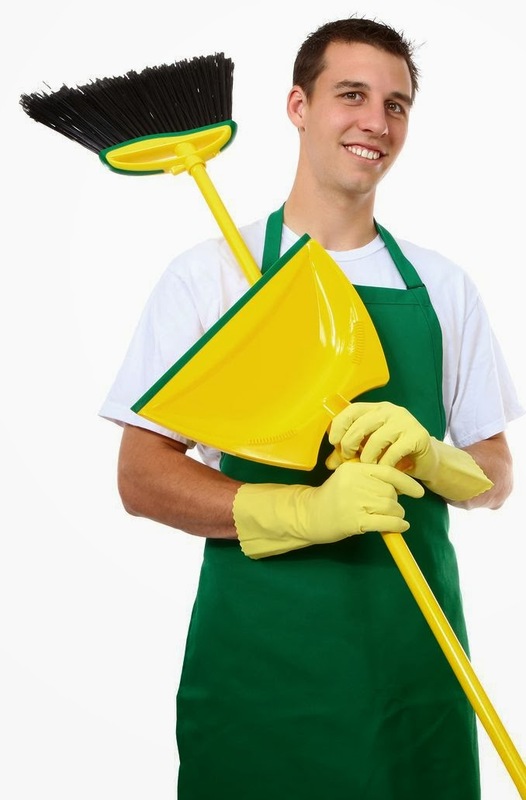 By the way, you really have posted some very insightful and helpful things lately about cleaning and making Women's life better. And your logic is right on spot -- why should She have to supervise mens work after all? What is great about that is the "She is above that" attitude that we should all adopt -- if we did this would be a better world and hubbies would just obey their wives! I wrote "We should all differ to Her and this, after all, is Her family's blog"... I meant that these posts on the blog are about Her family. Sorry about that! My bad... didn't mean it. (this was posted maybe a minute after the above one. I feel if I had a wife she'd punish me). Everything OK? Usually a week after a post there are more comments. Come on people, say hi. How's everyone's new year so far? Anonymous (R.R. ), that sounds awesome! Can you share with us this app?? Mark/Dennis, I'm wondering if a room by room housekeeping series might be considered? I would add that another benefit to a Wife dictated list: it sets Her as the authoritarian and further helps display Her Female Authority over Her househusband.